Discussion in 'Transformers Funnies' started by Torque, Mar 17, 2008.
no i dont actually tickle you, just needed something that started with "T"
OPTIMUS: Watcha got there, Hot Shot? HOT SHOT: So does this hurt my chances at becoming Shotimus Prime? lol, thanks for your laugh-im guessin ya liked it. a circuit board...didn't expect that one...good start! In futurama Bender thinks of circut Boards as femebots. not a Futurama watcher, so didn't get the in-joke, but still thought it was funny on its own merits! NotAnAutobot Jus' makin' some comics..
Oh boy... That Hot Shot is one naughty boy! BTW,did you ask permission from nkelsch to use his sprites? 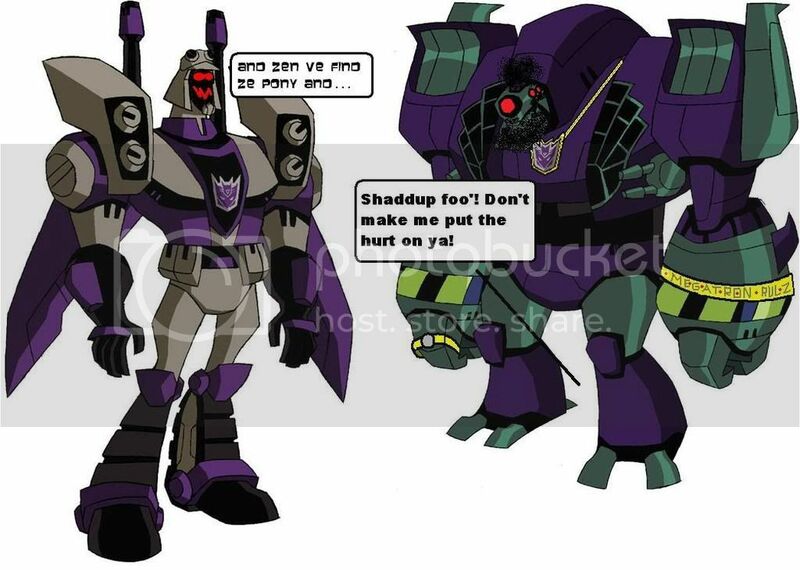 Lugnut: Drink yo' energon, foo'!